Gypsophila species have very high medicinal and commercial importance and contain interesting natural substances. However, there is no report on the essential oil or fatty acid composition of any Gypsophila species. This prompted us to investigate the essential oil and fatty acid composition of Gypsophila laricina Schreb. Plant materials were collected during the flowering period. The essential oil composition of the aerial parts of G. laricina Schreb. was analyzed by gas chromatography and gas chromatography-mass spectrometry. The fatty acid compositions were analyzed by gas chromatography-mass spectrometry. Sixty-six and ten compounds were identified in the essential oil and fatty acid of G. laricina Schreb., respectively. The major components of the essential oil were hexadecanoic acid (27.03%) and hentriacontane (12.63%). The main compounds of the fatty acid were (Z,Z)-9,12- octadecadienoic acid methyl ester (18:2) 40.4%, (Z)-9-octadecenoic acid methyl ester (18:1) 35.0%, and hexadecanoic acid methyl ester (16:0) 13.0%. The results showed that the fatty acid composition is rich in polyunsaturated fatty acids. The essential oils of G. laricina Schreb. were dominated by fatty acid derivatives and n-alkanes. We think the results obtained from this research will stimulate further research on the chemistry of Gypsophila species. Some Gypsophila species are used in folk medicine as remedies for coughs, colds, and ailments of the upper respiratory tract3 and also used for medical treatment such as an expectorant and diuretic, and for hepatitis, gastritis, and bronchitis.4 The underground parts of the genus Gypsophila have triterpenoid saponins as a main component. Gypsophila species are used in industrial, medicinal, and decorative applications.5 The commercial Merck saponin, which has been widely utilized as a standard for hemolytic tests, was obtained from the roots of several Gypsophila species.3 The genus was reported to have cytotoxic activity, α-glucosidase activity, an immune-modulating effect, and cause normalization of carcinogen-induced cell proliferation.4,6 The saponins obtained from the genus Gypsophila are interesting in terms of their applications in vaccines.7 The biological activities of the genus seem to be associated with triterpene saponins. Due to the various beneficial biological activities, Gypsophila was the focus of studies that described the phytochemistry of the genus extensively. As summarized above, Gypsophila species have very high medicinal and commercial importance and contain interesting natural substances. However, during our literature survey we did not encounter any reports on the essential oil or fatty acid composition of Gypsophila laricina Schreb. This prompted us to investigate the essential oil and fatty acid composition of this species. Here we report for the first time on the essential oil composition and fatty acid profile of G. laricina Schreb. The plant materials were collected during the flowering period; G. laricina Schreb. was collected from 1740-1800 m altitude in Üçpınar, Şarkışla, Sivas, Turkey, in July 2015 by Çelik and Budak. The voucher specimen has been deposited in the Herbarium of Bozok University (Voucher no. Bozok HB 3302). The aerial parts of the collected specimen were dried separately in the shade and ground with an electric mill (Retsch SM 100). The aerial parts of the plant (400 g) were extracted with hexane for 3 days at room temperature. After filtration through filter paper, the extract was concentrated by rotary evaporator and 4 g of crude hexane extract was obtained from the aerial parts. The crude extract was stored at 4°C. In the present study we used hexane extract for fatty acid compositions. Methyl-ester derivatives of fatty acids found in the hexane extract were obtained by transesterification.12 In this method 1 g of dried extract was dissolved in 5 mL of hexane and then extracted with 2 M methanolic KOH at room temperature. The mixture was shaken for 2 min and left to stand for 10 min. The upper phases were removed. G. laricina Schreb. afforded fixed oil from the hexane extract in 0.07% (v/w) yields. The fixed oil was analyzed by gas chromatography-mass spectrometry (GC-MS). The aerial parts (200 g) of the air-dried plants were subjected to hydrodistillation for 3 h using a Clevenger-type apparatus to produce essential oils. The condenser of the apparatus was attached to a microchiller set to 4°C. G. laricina Schreb. afforded oils from the aerial parts in 0.01% (v/w) yields. The oils were recovered with 1 mL of n-hexane and preserved in amber vials at -20°C until the day they were analyzed. The fatty acid compositions of the hexane extracts were investigated by means of GC-MS. The fatty acid methyl esters were analyzed using an Agilent 5975C GC-MSD system with an Innowax FSC polar column (30 m×0.25 mm, 0.25 µm). The inlet temperature was set at 250°C. Helium was the carrier gas at a constant flow rate of 1 mL/min. Split ratio was set to 50:1. The oven temperature was programmed from 40°C to 210°C at the rate of 5°C/min and kept constant at 210°C for 10 min. EI/MS was taken at 70 eV ionization energy. Mass range was m/z 35-450 atomic mass unit. Relative percentage amounts of the separated compounds were calculated from integration of the peaks in the MS chromatograms. The identification of fatty acid components was carried out by comparison of their retention indices obtained by a series of n-alkanes (C5 to C30) to the literature and with mass spectra comparison.13-19 The mass spectra comparison was done by computer matching with the commercial Wiley 8th Ed./NIST 05 Mass Spectra library. The analysis was completed in 50 min. The GC-MS analysis was performed with an Agilent 5975C GC-MSD system operating in EI mode. Essential oil samples were diluted 1/100 (v/v) with n-hexane. Injector and MS transfer line temperatures were set at 250°C. An Innowax FSC column (60 m×0.25 mm, 0.25 µm film thickness) and helium as carrier gas (1 mL/min) were used in both GC/MS analyses. Splitless injection was employed. The oven temperature was programmed to 60°C for 10 min and raised to 220°C at the rate of 4°C/min. The temperature was kept constant at 220°C for 10 min and then raised to 240°C at the rate of 1°C/min. The mass spectra were recorded at 70 eV with the mass range m/z 35 to 425. The GC analyses were done with an Agilent 6890N GC system. FID detector temperature was set to 300°C and the same operational conditions were applied to a duplicate of the same column used in the GC-MS analyses. Simultaneous autoinjection was used to obtain the same retention times. The relative percentage amounts of the separated compounds were calculated from integration of the peaks in the FID chromatograms. The identification of the essential oil components was carried out by comparison of their relative retention indices obtained by series of n-alkanes (C5 to C30) to the literature and with mass spectra comparison.20-40 The mass spectra comparison was done by computer matching with the commercial Wiley 8th Ed./NIST 05 Mass Spectra library, Adams Essential Oil Mass Spectral Library, and Pallisade 600K Complete Mass Spectra Library. The fatty acid composition of G. laricina Schreb. was analyzed by GC-MS. Ten compounds were identified in the fatty acid, making up 98.9% of the fatty acid. The extract consisted of six saturated fatty acids (21.8%) and four unsaturated fatty acids (77.2%). The major components of the fatty acid were (Z,Z)-9,12-octadecadienoic acid methyl ester (linoleic acid) (18:2) 40.4%, (Z)-9-octadecenoic acid methyl ester (oleic acid) (18:1) 35.0%, and hexadecanoic acid methyl ester (palmitic acid) (16:0) 13.0%. The fatty acid composition of G. laricina Schreb. is represented in Table 1. The essential oil composition of G. laricina Schreb. was analyzed by GC and GC-MS. The essential oils of the aerial parts of G. laricina Schreb. afforded very low oil yields (0.03% (v/w) yield). Sixty-six compounds were identified in the essential oil of G. laricina Schreb. by GC, representing 76.0% of the oil. The major components of the oil were hexadecanoic acid (27.03%) and hentriacontane (12.63%). The essential oil composition of G. laricina Schreb. is given in Table 2. The essential oil composition of G. laricina showed similar chemical behavior to G. tuberculosa.11 Both species had hexadecanoic acid and hentriacontane as major components in their essential oils. 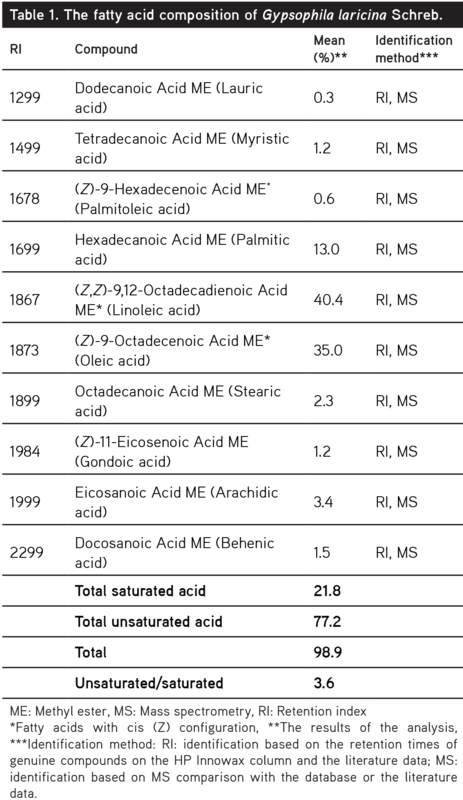 However, hexadecanoic acid was contained at 4.64% levels in G. eriocalyx and nearly six times that amount in G. tuberculosa and G. laricina. Moreover, hentriacontane was contained in very low amounts in G. eriocalyx.11 The three Gypsophila species had linoleic acid, oleic acid, and palmitic acid as the main components in different percentages. According to a study from Iran, G. bicolor contained germacrene-D, p-cymene, bicyclogermacrene, γ-dodecadienolactone, terpinolene, cis-β-ocimene, and trans-β-ocimene;10 however, these compounds were not detected in the oil of G. laricina Schreb. G. laricina Schreb. showed very different chemical behavior from G. bicolor. These differences in the previous literature and the present data could be related to different collection times, climatic and soil conditions, ecological factors, methods and instruments employed in the analysis, or different genotypes. There are very few reports on the essential oil or volatile composition of Gypsophila species and therefore it is difficult to comment on the chemo-systematic position of this species according to the current findings and the existing reports. The essential oil composition and fatty acid profile of G. laricina Schreb. were investigated for the first time. The major fatty acid components were oleic acid, linoleic acid, and palmitic acid. The unsaturated fatty acids were higher in content than the saturated fatty acids. The essential oils of G. laricina Schreb. were dominated by fatty acid derivatives and n-alkanes. Hexadecanoic acid and hentriacontane were the major essential oil components. The high hexadecanoic acid content might be explained by the collection time of the plant materials in the late flowering period. G. laricina exhibited important differences from G. bicolor and G. eriocalyx, highlighting the existence of different main chemical constituents. 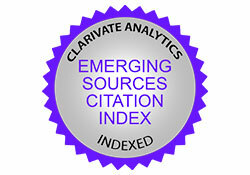 Thus, the results of this study certainly contributed to the taxonomy of the genus Gypsophila via essential oil chemistry. We think the results obtained from this research will stimulate further research on the chemistry of Gypsophila species. We are indebted to YTÜ BAP 2015-01-07-KAP05 and TÜBİTAK (project no. TBAG-111T820) for the financial support. Mabberley DJ. Mabberley’s plant-book: a portable dictionary of plants, their classifications, and uses (3th ed). Cambridge; Cambridge University Press; 2008:1-50. Davis PH, Mill RR, Tan K, Edmondson JR. Flora of Turkey and the East Aegean Islands (2nd ed). Edinburgh; University Press; 1982:2;149-180. Elbandy M, Miyamoto T, Lacaille-Dubois MA. Sulfated lupane triterpene derivatives and a flavone C-glycoside from Gypsophila repens. Chem Pharm Bull. 2007;55:808-811. Yücekutlu AN, Bildacı I. Determination of Plant Saponins and Some of Gypsophila Species: A review of the literature. Hacettepe J Biol Chem. 2008;36:129-135. Xie LX, Zhang HC, Wang HY, Wang Y, Wang FL, Sun JY. Two new triterpenoids from Gypsophila oldhamiana. Nat Prod Res. 2016;30:1068-1074. Gevrenova R, Stancheva T, Voynikov Y, Laurain-Mattar D, Henry M. Root in vitro cultures of six Gypsophila species and their saponin contents. Enzyme Microb Tech. 2010;47:97-104. Çona IG. Gypsophila eriocalyx Boiss. ve G. sphaerocephala Fenzl ex tchihat var. sphaerocephala taksonlarının antioksidan ve antibakteriyel aktivitelerinin belirlenmesi. Master thesis. Pamukkale University. 2012. Babaoglu M, Gezgin S, Topal A, Sade B, Dural H. Gypsophila sphaerocephala Fenzl ex Tchihat. : a boron hyperaccumulator plant species that may phytoremediate soils with toxic B levels. Turk J Bot. 2004;28:273-278. Shafagha A, Shafaghatlonbar M. Antimicrobial activity and chemical constituents of the essential oils from flower, leaf and stem of Gypsophila bicolor from Iran. Nat Prod Commun. 2011;6:275-276. Paquo TC. Standard Methods for the Analysis of Oils, Fats and Derivatives (6th ed). Oxford;Pergamon Press; 2013;16:1-188. Eyol PC, Sarikahya NB, Karakoc OC, Gokce A, Demirci F, Kirmizigul S, Goren N. Fatty Acid Composition and Biological Activities of Tanacetum zahlbruckneri (Náb.) Grierson Growing in Turkey. Rec Nat Prod. 2017;11:401-405. 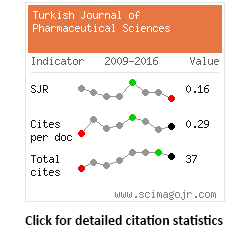 Kirmizigul S, Sarikahya NB, Sümbül H, Arda N. Essential fatty acid components and antioxidant activities of eight Cephalaria species from southwestern Anatolia. Pure Appl Chem. 2007;79:2297-2304. Maltas E, Vural CH, Yildiz S. Antioxidant acvitiy and fatty acid composition of Ginkgo biloba from Turkey. Pure Appl Chem. 2011;35:803-818. Laribi B, Kouki K, Mougou A, Marzouk B. Fatty acid and essential oil composition of three Tunisian caraway (Carum carvi L.) seed ecotypes. J Sci Food Agr. 2010;90:391-396. Denis C, Wielgosz-Collin G, Bretéché A, Ruiz N, Rabesaotra V, Boury-Esnault N, Kornprobst JM, Barnathan G. New 17-Methyl-13-Octadecenoic and 3,16-Docosadienoic Acids from the Sponge Polymastia penicillus. Lipids. 2009;44:655-663. Tsevegsuren N, Fujimoto K, Christie WW, Endo Y. Occurrence of a Novel cis,cis,cis-Octadeca-3,9,12-trienoic (Z,Z,Z-octadeca-3,9,12,trienoic) Acid in Chrysanthemum (Tanacetum) zawadskii Herb. (Compositae) Seed Oil Lipids. 2003;38:573-578. Nickavar B, Mojab F, Javidnia K, Amoli MA. Chemical Composition of the Fixed and Volatile Oils of Nigella sativa L. from Iran Z Naturforsch C. 2003;58:629-631. Polatoğlu K, Şen A, Bulut G, Bitiş L, Gören N. Essential Oil Composition of Centaurea stenolepis Kerner. from Turkey. J Essent Oil Bear Pl. 2014;17:1268-1278. Polatoğlu K, Arsal S, Demirci B, Başer KH. DPPH Scavenging, PRAP Activities and Essential Oil Composition of Edible Lathyrus ochrus L. (Cyprus Vetch, Luvana) from Cyprus. J Oleo Sci. 2015;64:309-314. Polatoğlu K, Demirci F, Demirci B, Gören N, Başer KHC. Antibacterial Activity and the Variation of Tanacetum parthenium (L.) Schultz Bip. Essential Oils from Turkey. J Oleo Scİ. 2010;59:177-184. Polatoğlu K, Demirci B, Gören N, Başer KHC. Essential oil composition of Tanacetum kotschyi from Turkey. Chem Nat Compd. 2011;47:297-299. Polatoğlu K, Gören N, Karakoç ÖC. Phytotoxic, DPPH scavenging, insecticidal activities and essential oil composition of Achillea vermicularis, A. teretifolia and proposed chemotypes of A. biebersteinii (Asteraceae). Ind Crop Prod. 2013;51:35-45. Polatoğlu K, Karakoç ÖC, Yücel YY, Demirci B, Gören N, Başer KH. Composition, insecticidal activity and other biological activities of Tanacetum abrotanifolium Druce. essential oil. Ind Crop Prod. 2015;71:7-14. Polatoğlu K, Demirci B, Demirci F, Gören N, Başer KH. Biological activity and essential oil composition of two new Tanacetum chiliophyllum (Fisch. & Mey.) Schultz Bip. var. chiliophyllum chemotypes from Turkey. Ind Crop Prod. 2012;39:97-105. Sura BE, Demirci B, Demir S, Karaalp C, Başer KH. Composition of the essential oils of Centaurea aphrodisea, C. polyclada, C. athoa, C. hyalolepis and C. iberica. J Essent Oil Res. 2013;25:79-84. Karamenderes C, Demirci B, Başer KH. Composition of Essential Oils of Ten Centaurea L. Taxa from Turkey. J Essent Oil Res. 2008;20:342-349. Demirci B, Başer KH, Yıldız B, Bahçecioğlu Z. Composition of the essential oils of six endemic Salvia spp. from Turkey. Flavour Frag J. 2003;18:116-121. Moronkola DO, Ogunwande IA, Başer KHC, Ozek T Ozek G. Essential Oil Composition of Gmelina arborea Roxb., Verbenaceae from Nigeria. J Essent Oil Res. 2009;21:264-266. Bassole IHN, Ouattara AS, Nebie R, Ouattara CAT, Kabore ZI, Traore SA. Chemical composition and antibacterial activities of the essential oil of Lippia chevalieri and Lippia multiflora from Burkina Faso. Phytochemistry. 2003;62:209-212. Kose YB, Altintas A, Tugay O, Uysal T, Demirci B, Ertugrul K, Baser KHC. Composition of the Essential Oils of Centaurea sericeae Wagenitz and Centaurea ensiformis P.H. Davis from Turkey. Asian J Chem. 2010;22:7159-7163. Kirimer N, Tabanca N, Özek T, Tümen G, Baser KHC. Essential oils of Annual Sideritis Species Growing in Turkey. Pharm Biol. 2000;38:106-111. Saidana D, Mahjoub MA, Boussaada O, Chriaa J, Cheraif I, Daami M, Mighri Z, Helal AN. Chemical composition and antimicrobial activity of volatile compounds of Tamarix boveana (Tamaricaceae). Microbiol Res. 2008;163:445-455. Bardakcı H, Demirci B, Yesilada E, Kirmizipekmez H, Baser KHC. Chemical Composition of the Essential Oil of the Subterranean Parts of Valeriana alliariifolia. Rec Nat Prod. 2012;6:89-92. Tabanca N, Demirci B, Ozek T, Kirimer N, Baser KHC, Bedir E, Khan IA, Wedge DE. Gas chromatographic-mass spectrometric analysis of essential oils from Pimpinella species gathered from Central and Northern Turkey. J Chromatogr A. 2006;1117:194-205. Polatoglu K, Demirci F, Demirci B, Gören N, Baser KHC. Antimicrobial activity and Essential oil composition of a new T. argyrophyllum (C. Koch) Tvzel. var. argyrophyllum chemotype. J Oleo Sci. 2010;59:307-313. Dregus M, Engel KH. Volatile constituents of uncooked rhubarb Rheum rhabarbarum L. stalks. J Agric Food Chem. 2003;51:6530-6536. Miyazawa M, Nagai S, Oshima T. Volatile Components of the Straw of Oryza sativa L. J Oleo Sci. 2008;57:139-143. Viegas MC, Bassoli DG. Utilização do índice de retenção linear para caracterização de compostos voláteis em café solúvel utilizando GC-MS e coluna HP-Innowax. Quím Nova. 2007;30:2031-2034.